It is the primary responsibility of every prizefighter to earn as much money as possible plying his brutal trade, during his short window of opportunity. If he can manage to do so without permanently damaging his health, his has done well by himself and his family. Ultimately, he owes the fans nothing. Boxing fans entertain themselves by watching boxers risk their health and well-being. It is a highly exploitive transaction. So if a fighter can manage to convince fans to pay for his fights, while simultaneously minimizing his own physical risk, more power to him. But here is where it gets tricky. Fans are not really interested in seeing fights where one man is not really putting himself at much risk. Well-matched, hard-fought battles are exhilarating. One-sided beatdowns are unsavory. 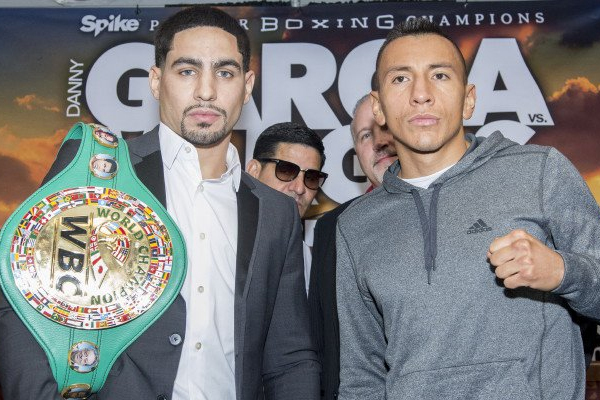 Danny Garcia has spent much of his career treading this line. He has faced, and defeated, some of the better fighters of his generation. He stopped Amir Khan and thoroughly out-boxed the dangerous Lucas Matthysse. But for many fans, he has become the fighter they love to hate. Part of this is due to the fact that he has received two decisions many felt he did not deserve–against Mauricio Herrera in 2014 and Lamont Peterson in 2015. But ultimately, those were close fights that could have gone either way. I think Garcia deserved to lose both of them, but I do not feel he benefited from a robbery in either case. Garcia’s reputation has been more damaged by the perception that he is a cherry picker. After his tough fight with Herrera, he opted to face unranked lightweight Rod Salka, rather than defending his lineal 140-pound title against a deserving contender. He knocked Salka out in two rounds. Nobody was impressed. Garcia is taking a similar bout this Saturday. Rather than defending his WBA welterweight title against a contender, he will meet Samuel Vargas in a non-title bout. I will have a problem with anybody who casually dismisses Vargas as a bum. He’s a respectable pro fighter. But he is not a credible opponent for a world champion. He was knocked out in four rounds by Errol Spence Jr., but that was at a point when Spence was still a rising contender. Garcia, by contrast, is a two-division world champion. Fans can hardly be faulted for not wanting to see him knockout another over-matched opponent.